My friend Harry, a fellow student at the University of Manchester, was in Copenhagen this weekend visiting his girlfriend Helena. 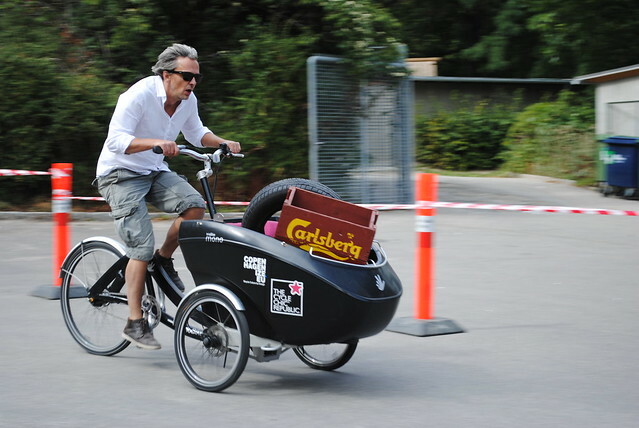 Whilst she was at work I thought I'd give it a go convincing him to come along to Svajerløb - the Danish Cargo Bike Championships. "Hmmm, I don't think bike races are really my thing..."
"Harry, my friend, this is no ordinary bike race!" 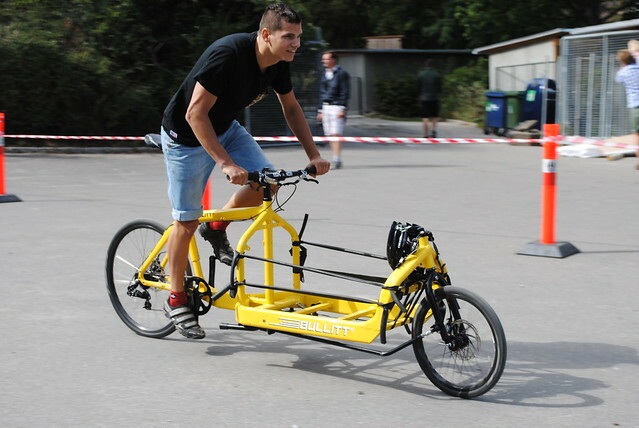 Like I said, this was no ordinary bicycle race. 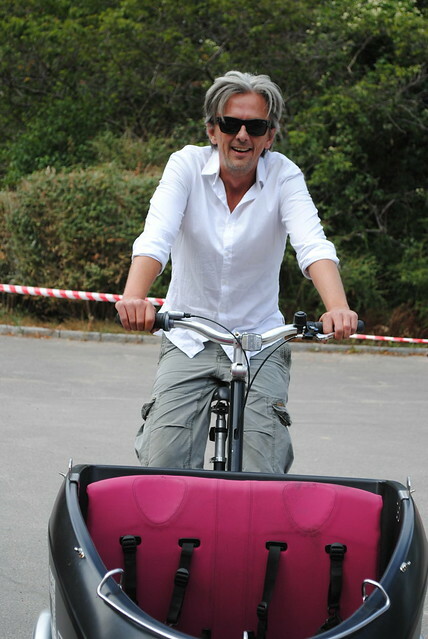 Forget spandex and lightweight carbon-fibre frames and think bow ties and colourful cargo bikes. 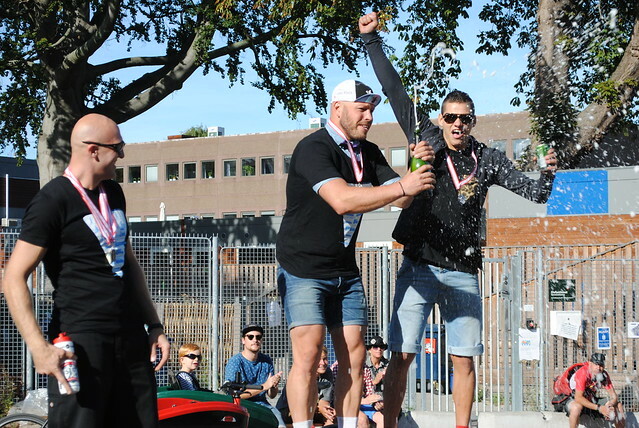 Participants brought along their rides, mainly Bullitts -the crème de la crème of all cargo bikes, to sweat it out for the prestigious title of being King or Queen of the Cargo Bike Championships. Everyone lining up at the start line. Mental preparation for the route laid out ahead. 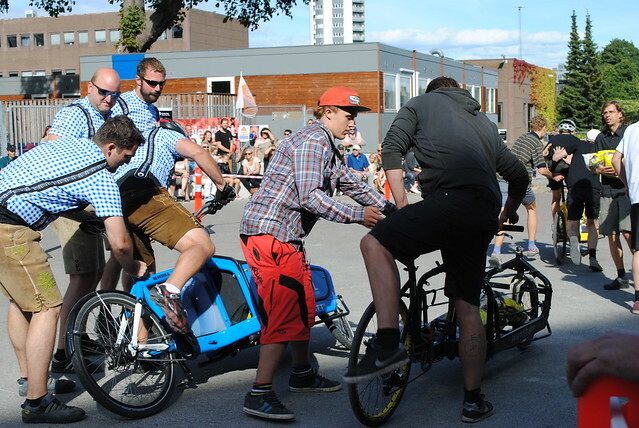 Team Bavaria show how teamwork's done whilst swapping riders during the Cargo Bike Rally Race. Nice outfits guys. 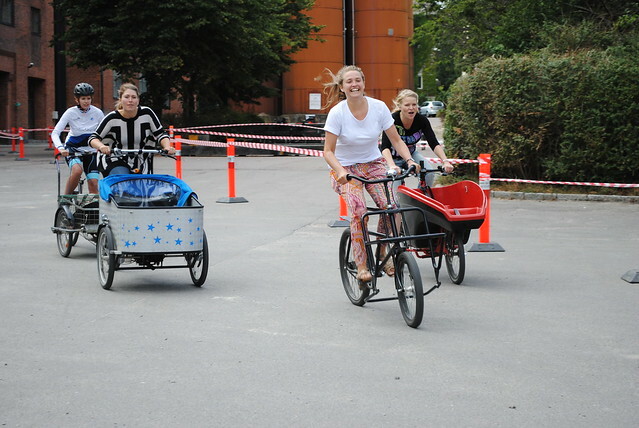 After the first lap it got harder as participants added heavy loads to their cargo bikes (well, what else were cargo bikes built for?). Carlsberg crate took first priority of course...just a shame it didn't hold any beer! Harry seems to be getting into the Svajerløb spirit. Or he's just giving me feedback on the danish hotdog he just had. The Bullitt. Designed to be the lightest and fastest cargo to speed goods through any city. 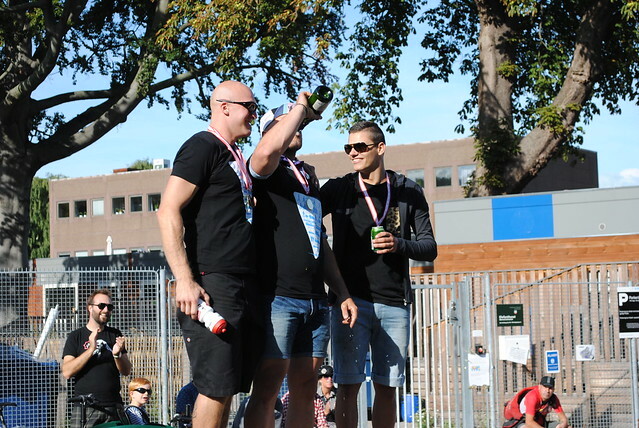 And former pro-cyclist Brian Holm showed up to participate in the Team Relay, too. As always, Brian is a style icon. Daniel - One speedy Mofo. Was definitely one to watch. Then it was the women's turn to race! 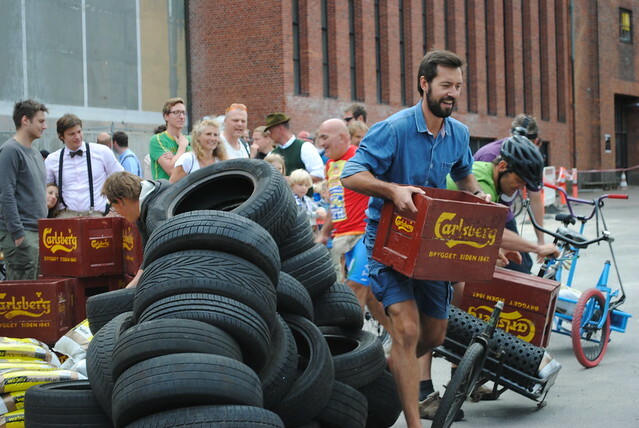 They took on the tyres and crates with style and grace. 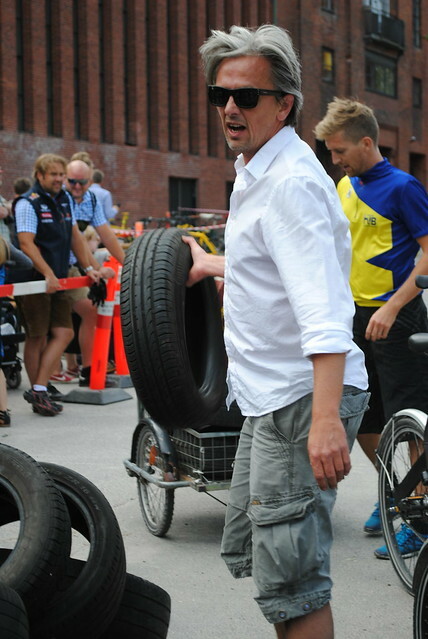 Mikael throwing on the tyres. Like a Boss. 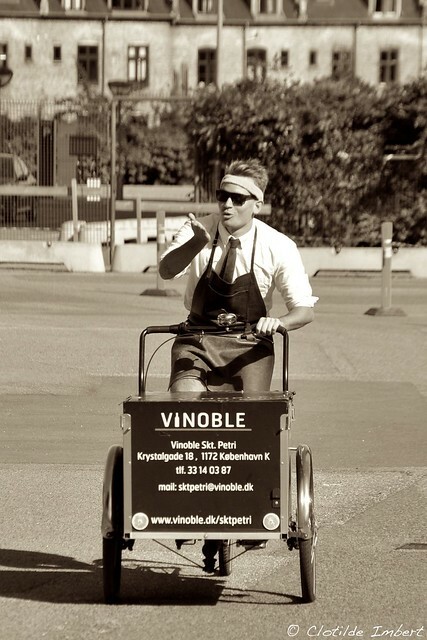 Mikael Coolville-Andersen. Taking in 2 silver medals! 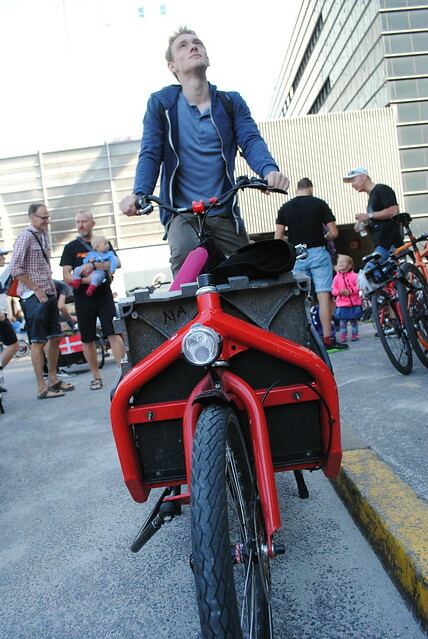 Who knew he was both Urban Mobility Rockstar and World-class Cargo Athlete? Well done! Tillykke! No wonder he's remaining champion and King of the Cargos. Blowing kisses, always a great way to work the crowd. Congrats! That calls for some bubbly. Oi oi, sharing is caring! So what did Harry think of the day? "I loved the fact that it was such a playful atmosphere whilst at the same time keeping a serious element of competition. 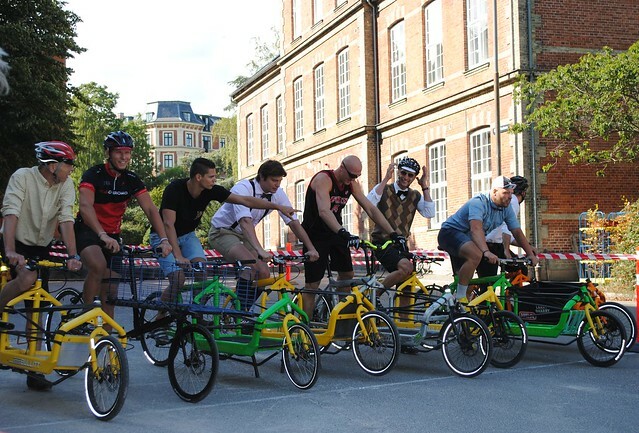 For instance when that one driver began to cycle round super slow to the point when it had the whole Danish crowd laughing at the sheer ridiculousness. I thought the Bullitt was the best of the bunch. 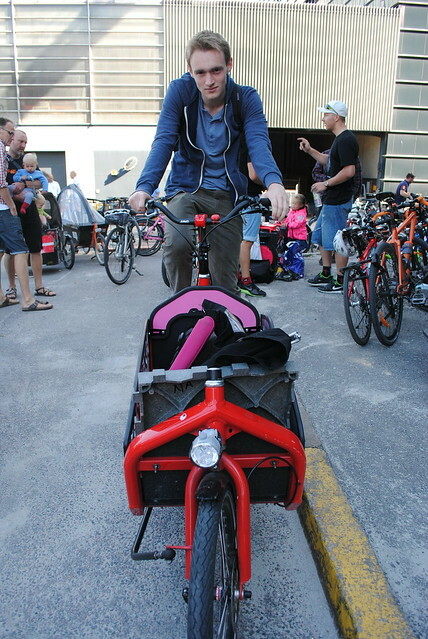 I liked that they rage in colours and this cargo bicycle was quite clearly the fastest. 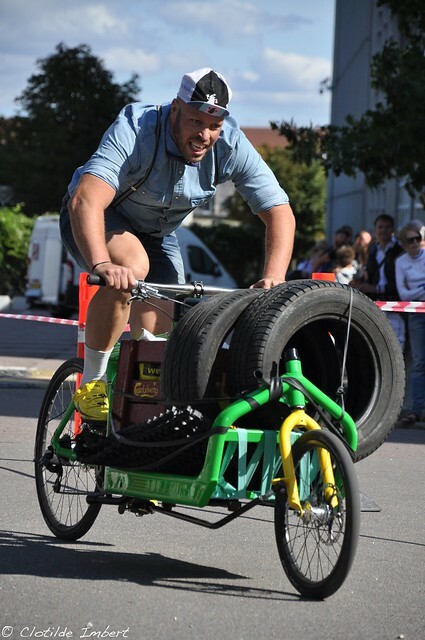 The greatest use of inner tubes to hold down heavy loads that I've ever seen!" 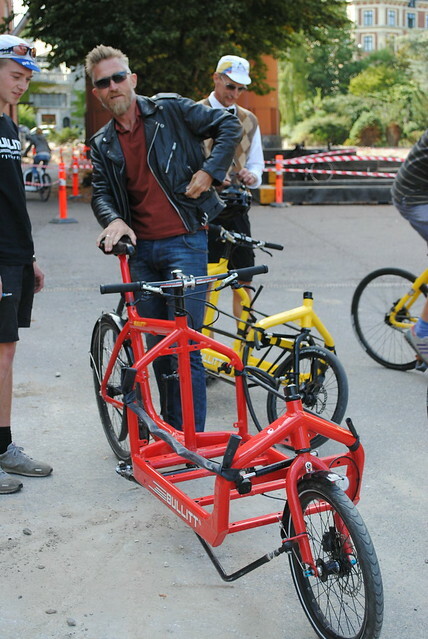 If you too like the look of the Bullitt check out the Larry Vs Harry website here. 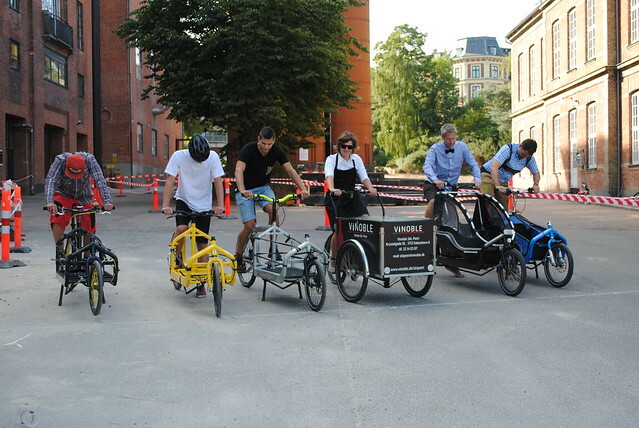 If you're inspired by idea of carrying goods around by cargo bike why not enter our Shop by bike photo competition? 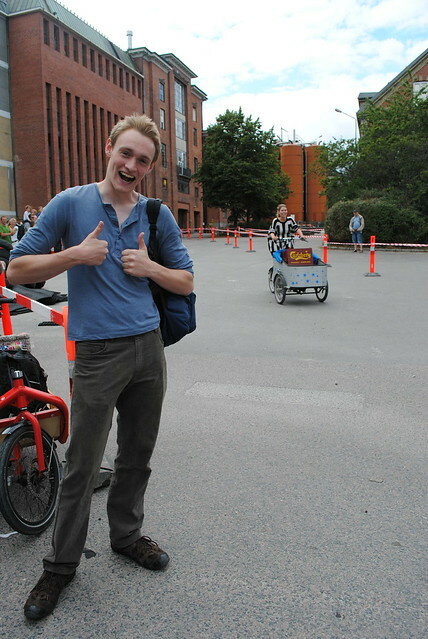 Send in pics of yourself or friends carrying large or weird goods by bicycle. Check out the FB page here. I'd love to see one of these here on the streets of Manchester!